The McClelland Lake watershed lies just east of the Athabasca River in northeastern Alberta about 90 km north of Fort McMurray in an area known as the Fort Hills. It includes several environmentally significant features including McClelland Lake, a large patterned fen, a dissected kame, and sinkhole lakes. The watershed also contains the McClelland Lake Wetland Complex. The scenic beauty of this Complex rivals that of the most famous sites in the Canadian Rockies. Important both for its diverse biophysical features and its ecological functions, it is one of Canada’s least-known natural heritage treasures. The McClelland Lake wetland complex and surrounding watershed supports rare plants and provides an important stopover point and breeding grounds for many bird species along one of North America’s major migratory flyways. Its large patterned fens are strikingly beautiful, featuring long rows of treed peat ridges separated by shallow water pools. 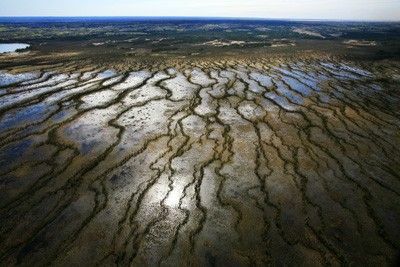 If responsibly protected, it would be one of the few intact wetland complexes left in the industrialized mineable oil sands region, whose landscape was once wetland-dominant. AWA continues to participate in the federal-provincial joint oil sands monitoring program (JOSM) as an environmental delegate to the Biodiversity component advisory committee. This provides a valuable insight into JOSM Biodiversity research; some of these projects have confirmed the importance of the McClelland wetland complex for rare and at risk migratory birds such as rusty blackbird and yellow rail. The development of an oil sands wetlands monitoring program has become the responsibility of the Biodiversity component; it remains undeveloped three years after JOSM’s inception, but a work plan is finally being executed. AWA seeks stronger wetland policy for all peat wetlands in the oil sands region, which should benefit McClelland peat wetland complex. AWA continues to give strong support to the provincial government to complete major unfinished elements of the Lower Athabasca regional plan, including a Biodiversity Management Framework (BMF) with science-based limits, and landscape management plans with land disturbance limits. During the Special Places process, the McClelland Lake Wetland Complex was described as “worthy of a strenuous protection effort” (1998). AWA took part in a four-year sub-regional planning process that in 1994 resulted in protection of the McClelland wetland complex from oil sands surface access. However, in 2002 the sub regional plan rules changed suddenly at the request of Koch Industries’ subsidiary True North Energy, which had acquired the leases in 1998, after the plan rules were clearly in place. The amended plan allowed mining in about half of the wetland complex, provided that “surface mining … shall maintain the water table, water chemistry and water flow within limits as indicated by natural fluctuations to maintain ecosystem diversity and function of the McClelland Lake wetland complex where surface mining is not allowed.” A few months later during Fort Hills project application hearing, Alberta’s Energy Utilities Board accepted True North Energy’s request to withdraw the portion of its EIA describing impacts to the wetland = complex. This EIA had stated that water table disruptions from mine dewatering and other lease disturbances would likely kill peat-forming mosses, ending peat production on the fen. Instead, the EUB granted True North Energy its request to develop a plan prepared by a company- led committee of regulators and stakeholders to mitigate the mine’s effects on the unmined portion of the wetland complex. AWA has not joined this committee, which we regard as a means to legitimize the wetland complex’s destruction. As of June 2016 there is still no approved plan to mine in the McClelland watershed. AWA will continue to oppose plans by Suncor, Total and Teck Resources to mine the upper half of the McClelland Lake wetland complex watershed for the Fort Hills tar sands mine project. This will destroy the topography and soils that sustain groundwater flows into the rest of the watershed, and will very likely destroy the un-mined portion of the wetland complex including the Lake. Area falls within the Lower Athabasca Regional Plan (cabinet approved August 2012) and supporting management frameworks for Air, Water Quantity and Quality, and Biodiversity. The Athabasca tar sands region was managed according to the Fort McMurray-Athabasca Oil Sands Integrated Resource Plan (1996, amended 2002), which allows tar sands mining in the southwestern half of the McClelland Lake Wetland Complex. AWA‘s vision is for the entire 330 km2 McClelland watershed to be designated a Provincial Park, with its two patterned fens designated Ecological Reserves. This entire area overlaps only about 2 % of the Surface Mineable Area (SMA). This watershed is the sole site within the 3,450 km2 SMA for which we are seeking protection. 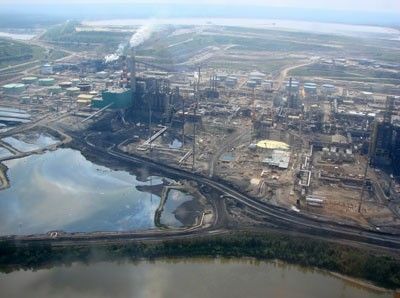 At present, a mere 0.1 % (4.13 km2) of the tar sands Surface Mineable Area (SMA) is “protected” (La Saline Natural Area). While Alberta Energy describes the creation of protected areas as “sterilizing the land,” it is becoming increasingly clear that Albertans care deeply about wilderness protection and a healthy environment. – Dr. Diana Horton, Botanist, University of Iowa. AWA is grateful that our work in the McClelland Lake Watershed is supported by the glasswaters foundation. Tar sands processing plants are huge consumers of natural gas and fresh water and massive producers of greenhouse gases (GHGs) and acidifying emissions. Reliance on the tar sands also allows governments and industry to further postpone the development of more environmentally sustainable, alternative energy options. From two to five barrels of fresh water are required for each barrel of oil extracted from tar sands. Alberta’s tar sands companies are licensed to use 26 percent of the province’s groundwater in addition to the water they take from lakes and rivers. The David Suzuki Foundation calculates CO2 production from new tar sands projects will add almost 10 percent to Canada’s total emissions of this GHG. The water in tailings ponds is so toxic that propane cannons and floating scarecrows are used to deter wildlife from approaching them. To date, tailings ponds cover a total of 50 km2 of Alberta’s boreal forest. “The National Energy Board characterizes the problem of managing fluid fine tailings as ‘daunting’ – the volume of fluid fine tailings produced by Suncor and Syncrude alone will exceed one billion cubic metres by the year 2020, enough to fill 400,000 Olympic-sized swimming pools” (Pembina Institute, Oil Sands Fever). According to True North Energy, the goal of “reclamation” is to achieve a “stable, sustainable and productive landscape.” This definition can be applied to Syncrude’s infamous 83 ha bison paddock – a woefully inadequate substitute for the mature, complex boreal forest it replaced. To date, no tar sands “reclamation project” has been certified by government. Reclamation is NOT ecological restoration, and restoration of peat wetland has yet to occur. The McClelland Lake watershed is within Al-Pac’s Forest Management Area (FMA). Much logging in the area has been due to tar sands development. By 1995 land south of the Fort Hills had been cleared of timber for tar sands exploration. In the winter of 1994-95, lands south of McClelland Lake were logged by Northland and applications for new harvesting areas north of the lake had begun. The watershed is crisscrossed with roads, seismic lines, and a wide pipeline corridor passes through it, providing increased access to off-highway vehicle users. The McClelland Lake watershed contains Provincially Significant habitat for staging ducks and other waterfowl. The Fort Hills, located in the southwest corner of the watershed, form a dissected kame – an elongated, mound-shaped hill or ridge of glacial origin that has been cut into two or more parts. Their highest point of elevation is at the west end, where the Athabasca River flows more than 100 metres below. Streams flow off the Fort Hills into the Athabasca and Muskeg Rivers, and to the north, into McClelland Lake. The hills contain old-growth forest habitat as well as important moose habitat. The Wood Buffalo First Nation has a long familiarity with the Fort Hills area and has observed a decline in both moose and game birds over time. Lynx use the hills as a refuge when populations are down; they are highly dependent on snowshoe hares (75 to 90% of their diet). The Firebag and its tributaries are provincially significant Arctic grayling habitat. The river is considered hydrogeologically important and has a high landform diversity (meanders and delta). It is also considered key moose habitat. It contains key fisheries habitat (spawning, feeding and overwintering) for walleye, lake whitefish, northern pike, yellow perch, and burbot. Virtually no information about McClelland Lake’s benthic community exists; this means there is no benchmark data according to which to measure the effects of development within the watershed. “Benthic invertebrate communities consist of aquatic organisms such as insects, snails, clams and worms that spend at least part of their lives in or on the bottom of rivers, lakes or wetlands. These organisms are an important food source for fish and are an important indicator of fish habitat quality” (Regional Aquatics Monitoring Program 2004 Community Report). Peatlands, often called “muskeg,” represent an important terrestrial carbon sink, holding 25% of the world’s terrestrial carbon (Woodwell and Houghton 1991). Peatlands around the world are disappearing rapidly because of human impact from activities such as mining, forestry and agriculture. Peat is a type of soil that contains a high proportion of dead organic matter, mainly plants, that has accumulated over thousands of years. A fen is a peat-forming wetland fed by a continuous source of alkaline, mineral-rich groundwater. Fens support a distinctive suite of species that can adapt to the alkaline conditions. Fens differ from bogs, which are primarily fed by rainwater and are more acidic. Because fens have higher nutrient levels, they support a much more diverse plant and animal community than bogs. Fens provide important ecological benefits, including carbon storage, flood control, groundwater recharging, surface water filtration, and habitat for a diverse community of unique plant and animal species. Patterned fens comprise approximately 1% of the province’s land base and only 4.5% of Alberta’s 103,000 km2 of peatlands. Patterned fens are the product of a complex hydrological flow regime. They develop in shallow, sloping channel-like basins where groundwater seeps up into the basin and flows slowly down-slope. Studies have suggested that patterning begins when organic debris accumulates in the spring over a frozen peatland surface. Ridges of vegetation and peat form perpendicular to the direction of water moving, creating a net-like pattern with descending, stepped pools (flarks) between the ridges (strings). The flarks can be several hundred metres long and the strings can support fully grown trees. Two of Alberta’s largest patterned fens lie on either side of McClelland Lake. The fen to the southwest, often referred to as McClelland Lake fen, has the most prominent string-and-flark pattern in the province and is a provincially significant ESA. Its formation began approximately 8,500 years ago with the establishment of peat-forming mosses. Patterned fens can be more acidic (also called “poor fens”), with the dominant species being Sphagnum mosses, or more alkaline (“rich fens”), with herbaceous species and brown mosses being dominant. McClelland Lake fen is a rich fen. Unlike most fens, this one is associated with a large lake. It drains into McClelland Lake and is larger than 91 percent of patterned fens in Alberta. The peat is up to 5 metres thick. This is underlain by about 10 metres of sand and sandy gravel of fluvial origin. The strings and flarks are strikingly demarcated. The flarks near the lake are extraordinarily large; the strings form a reticulate network with interconnections among the strings, not just a series of parallel strings as they are in many patterned fens. Because of the high water table in this fen, its vegetation is likely to be sensitive to changes in climate and hydrological flows, and to surface damage. The watershed contains 12 sinkhole lakes – a provincially rare feature – in two chains. Six of the lakes were sampled for fish, and brook stickleback were found to occur in two of them. Sinkholes are a key feature of Karst topography found in limestone bedrock. Karst regions are rare in Alberta and often contain vast, complex systems of interconnected underground passages and reservoirs. Sinkholes have a distinct circular shape and form when the roof of an underground cavern collapses. These sinkholes provide drainage for surface water runoff and meltwater. Unlike many other fens in the region, almost all drainage is subsurface. Because limestone, which is highly permeable, overlies the entire area, development south of the fen, as is planned, will likely lower the groundwater level in the fen. The widespread desiccation will undoubtedly affect the fen’s flora. There is evidence of a large aquifer in the area. Old-growth forest stands are found in the Athabasca River valley and on Fort Hills. 205 bird species have been recorded within the McClelland Lake Wetland Complex, of which 116 have stayed to breed. This includes threatened declining species such as yellow rail, short-eared owl and American bittern. The yellow rail is relative rare in most of its range, and its population size appears to have decreased. It has thus been designated of “Special Concern” by the Committee on the Status of Endangered Wildlife in Canada (COSEWIC). Whooping cranes (endangered) have been observed on the McClelland Lake fen on at least four occasions since 1994 (as reported in 2002). They may use the fen as a staging area during their migration to and from their breeding territory in Wood Buffalo National Park. McClelland Lake lies directly in a major North American flyway; it is an important staging area for migratory bird such as white pelican, great blue heron, and whooping cranes. Bald eagles and sandhill cranes nest in the watershed. 114 species of mosses and liverworts occur in the McClelland Lake Wetland Complex (MLWC), of which 18 are provincially rare. The MLWC contains at least 60 species of flowering plants, 4 of which are Alberta rarities. Additional rare species have been discovered with each new field survey. Five species of insectivorous plants thrive in McClelland Lake fen. 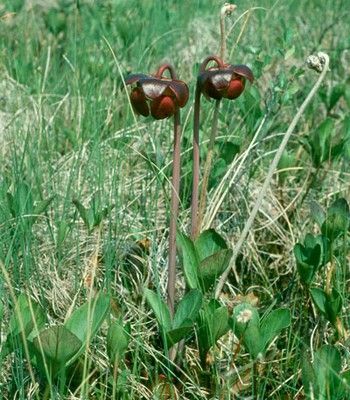 The Alberta Natural Heritage Information Centre (ANHIC) database indicates that 95 rare vascular plants and 39 rare nonvascular plants may occur in the area. The McClelland Lake watershed has traditionally been used by First Nations for hunting and trapping. One Fort McKay First Nation man still spends about half of his time at his cabin on the trapline and continues to hunt in the area for much of his family’s meat supply. 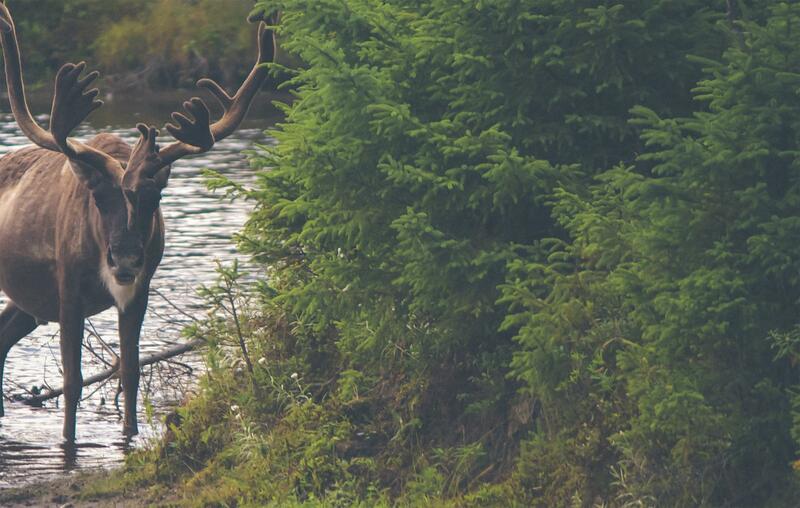 The best area for hunting and trapping is the south shore of the lake and the area near the Firebag River. Good blueberry, bog cranberry, saskatoon, and kinnikinnick areas exist around McClelland Lake. This area has a history of high traditional use. “The traditional land base of Fort McKay First Nation has been significantly affected by cumulative levels of industrial development” (TrueNorth 2001 EIA). AWA represents environmental NGOs in a multi-stakeholder wetland value assessment group commissioned by the Alberta government. We advocate for greater recognition of boreal wetland values generally and a credible process to protect Alberta’s exceptional wetlands such as McClelland wetlands from industrial disturbance. AWA participates in Lower Athabasca regional plan public and stakeholder consultations in Fort McMurray, Lac La Biche and Calgary. We again urge the Alberta government to deliver on overdue biodiversity and wetland policies to inform the northeast Alberta regional plan, and to establish more representative protected areas including the McClelland Lake wetland complex. AWA provides slides and a briefing note on the significance of and threats to McClelland Lake wetland complex for a Washington D.C. briefing of Capitol Hill staffers on tar sands development, hosted by DC-based environmental organizations. AWA presents to Alberta Institute of Agrologists annual conference on protecting significant Alberta wetlands, using McClelland wetlands as a case study. AWA meets with representatives of Teck Resources Ltd., a mining company that owns 20% of the Fort Hills oil sands project. We discuss our concerns with oil sands development, including the threat to McClelland Lake wetland complex from Fort Hills’ proposed mining of the upper McClelland watershed. AWA participates in Lower Athabasca regional “vision” public and stakeholder consultations in Fort Chipewyan, Fort McMurray, Lac La Biche and Calgary. We urge the Alberta government to deliver on overdue biodiversity and wetland policies to inform the northeast Alberta regional plan, and to establish more representative protected areas including the McClelland Lake wetland complex. AWA meets with Suncor’s Senior Sustainability Manager and presents on the ecological significance of the wetland complex and concerns with Fort Hills oil sands project’s proposed mining of the upper McClelland watershed. AWA declines Suncor’s request that AWA join the McClelland Sustainability Committee, reiterating our concerns that this industry-led process will facilitate the destruction of the wetland complex. AWA learns that the Sustainability Committee has decided its minutes and documents will no longer be provided to interested stakeholders. There is an intention to provide AWA information on McClelland Sustainability Committee plans and Suncor fen reclamation work, but to date this has not happened. As part of AWA’s overall effort to influence land use planning in the Lower Athabasca (northeast Alberta) region, the conservation recommendations to the Regional Advisory Council emphasize the importance of protecting the McClelland Lake wetland complex. AWA also advocates for McClelland Lake while participating in the Athabasca river water withdrawal management framework and in public outreach regarding a provincial wetland policy. AWA’s research on land use planning conservation tools in the new Alberta Land Stewardship Act (ALSA) leads to a proposal that a conservation directive be applied to McClelland Lake, including compensation for tar sands lease holders. After the acquisition of Fort Hills lead operator Petro-Canada by Suncor, AWA presents concerns to Suncor about the effects of mining in the McClelland watershed, as well as our conservation directive proposal. AWA also states concerns about logging in the McClelland watershed to Alberta Pacific Forest Industries Inc.
glasswaters foundation lends support to AWA’s McClelland Lake campaign with an important grant. The federal Department of Fisheries and Oceans issues a new permit for Imperial Oil’s Kearl Lake oil sands project. The authorization was revoked in March during a legal battle between Imperial and a coalition of environmental groups. Synenco Energy Inc.’s Directors agree to a takeover offer bid by Total of Synenco, including its McClelland Lake lease and Northern Lights project. The federal Department of Fisheries and Oceans revokes a key water permit for Imperial Oil Ltd.’s proposed $8-billion Kearl oil sands mine. Synenco Energy Inc. informs AWA that they filed a Supplemental Submission for the Northern Lights Mining and Extraction Project with provincial and federal regulators in mid-December. They forward the submission to AWA in January 2008. The amendments have reduced the effect of the project on the MLWC. The MLWC Sustainability Committee is committed to developing the mitigation plan to maintain the integrity of the unmined portion of the MLWC. The Sustainability Committee will decide if an EIA is necessary to develop the mitigation plan and will determine what the Terms of Reference for an EIA will be. AWA meets with Synenco Energy Inc. about their leases near and within McClelland Lake watershed. AWA notes that a Synenco 3rd quarter publication reported that the McClelland Lake Lease winter drilling program of 2006-07 “did not result in any notable discoveries of mineable bitumen resources meeting the company’s physical cut-off parameters.” Synenco states that in the 2007-08 winter drilling program, 20 core holes will be drilled, of which 9 will be on new sites. Synenco promises to inform AWA of the results of this program when publicly available. AWA learns at this meeting that the winter road for access to the Northern Lights project site (northeast of the McClelland watershed) is located within a few kilometers of McClelland Lake’s northern edge. AWA repeats its opposition to disturbance of the McClelland watershed. AWA receives the information about the McClelland Lake Wetland Complex Sustainability Committee from Petro-Canada that was first requested on September 12, 2006. AWA writes to Alberta Premier Ed Stelmach applauding his decision to stop seismic testing on Marie Lake and requesting that the government work with Petro-Canada to withdraw from the original approval the portion of the project that lies within the McClelland Lake watershed. AWA writes to Petro-Canada reiterating our request for information regarding the McClelland Lake Wetland Complex Sustainability Committee (first requested September 12, 2006). AWA writes to all Alberta Progressive Conservative leadership candidates stressing the urgent need to protect critical wetlands and watersheds in the province and specifying McClelland Lake watershed as the primary example. AWA chairs a McClelland Lake Strategy Meeting in Edmonton with individuals and organizations concerned about McClelland. Organizations represented are CPAWS, Ducks Unlimited, Sierra Club, Environmental Law Centre, and Canadian Federation of University Women. AWA meets with Synenco Energy Inc. about their leases near and within McClelland Lake watershed. Synenco’s McClelland Lake lease (L0633) covers an entire township that is in the McClelland Lake watershed and overlaps McClelland Lake. Sixty-seven exploratory wells were drilled last winter. Synenco agrees to inform AWA when the results are available. They are not planning to do any drilling in the coming season, as their resources will be going toward the Northern Lights project (just east of the Firebag River). AWA reiterates our position on the McClelland Lake watershed: no development of any kind within the watershed. Although we do have concerns about the Northern Lights project because it is close to McClelland and it crosses the Firebag River, we are most concerned about any plans to develop in the lease L0633. AWA expresses concern about increased access into the McClelland watershed because of Synenco’s proposed road-building. AWA writes to all Alberta MLAs about the urgent need to amend the boundaries of the Fort Hills Oil Sands Project in order to protect the McClelland Lake Wetland Complex from destruction. AWA writes to the Sierra Legal Defence Fund to request that they consider making McClelland Lake a focus of their oil sands work in Alberta. AWA meets with Petro-Canada to discuss our concerns about McClelland Lake. Petro-Canada states that if the Fort Hills Project is going ahead anyways, AWA should be pleased that a “good operator” is in charge of the development. AWA reiterates our position that McClelland Lake watershed is a critical wetland ecosystem that requires protection from industrial activity and that we will oppose development in the fen and watershed. AWA meets with Synenco Energy Inc., which holds leases just east of the McClelland Lake watershed (the Northern Lights Project) and within the watershed, overlapping the east part of the lake (lease L0633). The Northern Lights Project application was filed in June 2006, with amendments and updates filed in November 2006. Synenco has just finished the second winter of drilling in L0633, next to McClelland Lake, to gather information about the resource on that lease. AWA meets with Judy Smith, Shell Canada, to discuss Shell’s oil sands mining plans in the Athabasca region and to express our concern about the McClelland Lake watershed. 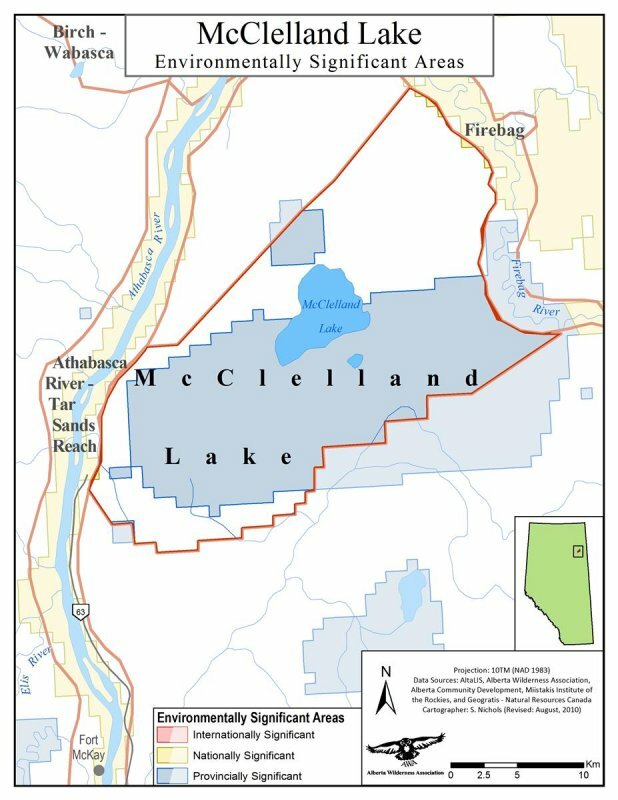 Since Shell has bought leases just south of McClelland Lake, AWA requests to be kept informed about their plans for the area. AWA meets with SRD Minister Ted Morton and presents him with information about McClelland Lake, followed up with a letter on March 20 expressing the need for protection of the watershed from oil sands mining. AWA meets with Toronto-based Greenpeace Campaigns Director Yossi Cadan to request support with the campaign to protect the McClelland Lake watershed from oil sands mining. AWA writes to Alberta Energy Minister Mel Knight requesting that Alberta Energy work with Petro-Canada to limit the Fort Hills Project to the oil reserves outside of the McClelland Lake watershed. Most of the plant has been moved from inside to outside the watershed. The size of the OPTA has been doubled, from 8 sq km to 16 sq km, and has been moved south slightly so that only part of it is now in the watershed. Mining in the wetland complex has been postponed by about 5 years. 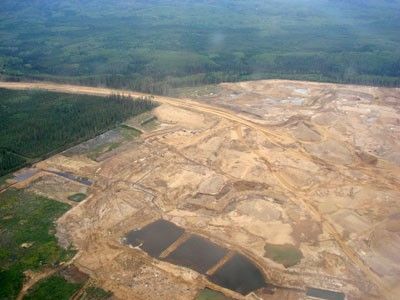 Petro-Canada assures AWA that tailings ponds are not very toxic. In response to Petro-Canada’s request for support for the amended plan, AWA reiterates our position, both at the meeting and in a follow-up letter the next day, that absolutely no industrial development should take place in the McClelland Lake watershed and that it should be legally protected. Petro-Canada calls off the sale of five oil sands projects because the bids were unsatisfactory. The company had decided to sell off the five non-core properties to focus on the Fort Hills Oil Sands Project, expected to produce between 100,000 and 170,000 barrels a day. AWA writes to Alberta NDP Environment Critic David Eggen asking for support in the campaign for the legal protection of the entire McClelland Lake watershed. AWA issues an Action Alert urging concerned members and supporters to write to Petro-Canada and the Alberta government to voice opposition to mining within the McClelland Lake watershed. AWA meets with representatives of Alberta Environment, Northern Region to explore possibilities for revisiting the 2002 approvals of the Fort Hills project. AWA is told that there is no precedent for such action, and that only if some major flaw or illegality in the approval process is discovered would it be considered. AWA meets with representatives of Alberta Environment, Northern Region to explore possibilities for revisiting the 2002 approvals of the Fort Hills project. AE tells us that there is no precedent for such action, and that only if some major flaw or illegality in the approval process is discovered would it be considered. Petro-Canada informs AWA that the Fort Hills Project amendment plan will be submitted to the Alberta government in mid-December. According to Petro-Canada, mining activities in the fen will not begin before 2030 and the management plan for the sustainability of the unmined portion of the fen will not be due until 2024. Petro-Canada is now removing plants from the fen for pilot projects. AWA writes to Petro-Canada, reiterating AWA’s request for information on the McClelland Lake Wetland Complex Sustainability Committee (originally requested at a meeting with Petro-Canada on September 12, 2006). In the letter, AWA also requests information about Petro-Canada’s removal of rare plants from the McClelland Fen. AWA writes to the Energy and Utilities Board (EUB), the regulatory body that approved the Fort Hills Oil Sands Project in 2002, to ask for clarification about the EUB accepting the withdrawal of the portion of the EIA relating to McClelland Fen. AWA also requests a copy of the Sustainability Plan that the EUB accepted in lieu of the EIA portion. The EUB responds on November 2, 2007, referring us to EUB Decision 2002-089, and on December 5, 2006, referring us to Petro-Canada for more information on the Sustainability Committee. Oct. 26: Petro-Canada advises AWA that construction of the starter dyke for the out-of-pit tailings area (OPTA), which will straddle the McClelland watershed, will likely begin in 2008 or 2009. This involves excavating native soil from outside the McClelland watershed and trucking that soil to the OPTA as construction material for the initial containment dyke. The initial filling of water for the OPTA will likely occur in 2010. “Petro-Canada is still waiting on detailed costs for the proposed Fort Hills mine and Sturgeon County upgrader, the final pieces of an integrated oilsands strategy.” Petro-Canada predicts initial production of 150-170,000 bbls/day by 2011, increasing to 370,000 with subsequent expansions. The company says it will be another 18 months before the Fort Hills project gets internal approval (Calgary Herald 5 October, 26 October 2006). AWA presents to the Oil Sands Multi-stakeholder Panel in Calgary, summarizing the story of McClelland Lake Wetlands Complex and the Fort Hills Oil Sands Project, and stressing “that oil sands development must take place only after identifying and legally protecting irreplaceable watersheds in our boreal forests,” such as McClelland Lake watershed. Aboriginal support for the tar sands boom is diminishing, as the Athabascan Chipewyan and the Mikisew Cree express increasing concern about the withdrawal of water from the Athabasca River. The Athabascan Chipewyan band has formally withdrawn from the Cumulative Environmental Management Association (CEMA), a body comprising industry, government, aboriginal and other representatives, because the band believes that the process is having no influence (Globe and Mail 26 Sept 2006). AWA makes a presentation (pdf 32KB) in Calgary to the multi-stakeholder Oil Sands Consultations Panel . AWA meets with Petro-Canada to discuss options for saving the McClelland Lake Wetland Complex from destruction. Petro-Canada says that there must be financial incentives for them to change their mining plans in order to save the Complex. AWA meets with Synenco to discuss Synenco’s plans for their Lease 0633 in the eastern portion of the McClelland Lake watershed. To date, a few exploratory wells have been drilled but Synenco does not yet know the extent of the tar sands reserve on this lease. They will continue drilling exploratory wells. AWA asks to be kept informed of their plans. He has complete confidence that the unmined portion of the fen will remain unaffected and that the mined portion can be reclaimed so that in 200 or 300 years, it will be the same as it was before it was mined. The budget for reclamation is unavailable (responding to AWA’s request for same). He did not know whether Petro-Canada would be legally responsible if there were unexpected contamination to the unmined portion of the fen, or if the reclamation plan was unsuccessful. There are no “practical alternatives” to mining McClelland Fen. Petro-Canada would need a financial incentive to withdraw from mining McClelland Fen. Anything less would not satisfy either shareholders or the Board of Directors. If Petro-Canada were to consider lease swapping, the lease would have to be adjacent to the current boundaries of the Fort Hills lease, and have equivalent or more reserves. If the Sustainability Committee cannot agree that the unmined portion of the fen will not be affected and/or that the mined portion can not be reclaimed, then the project will not go ahead. Petro-Canada is already removing plants from the fen (presumably for reclamation purposes). Information on the Sustainability Committee, including Terms of Reference, a list of members, and meeting minutes to date, and ongoing. Aug.1: Pembina Institute and CPAWS announce a new 35-page report calling for “a moratorium on out-of-control oil sands lease sales” and “calling on government to set limits on cumulative industrial impacts” (Media Release, Pembina Institute). Premier Klein’s response: “The Pembina Insitute should keep their noses out of anyone’s business, especially businesses that want to take risks. To have a long-range plan would be an interventionist kind of policy.… The last thing we want to be is an interventionist government” (CBC News, August 3). AWA’s Joyce Hildebrand spends several days in Fort McMurray. Petro-Canada, the operator of Fort Hills tar sands project, takes her on a 3-hour tour of their MacKay River SAGD project. She also meets with Chief Jim Boucher of Fort McKay First Nation to discuss the Fort Hills project. Two AWA staff are accompanied by Dr. Ian Urquhart and Dr. Diana Horton on a 2-hour flight from Fort McMurray over the McClelland watershed and the tar sands mines. They observe considerable fragmentation of the watershed, including clearcuts, seismic lines, wellpads, a pipeline corridor, and evidence of ATV use. AWA writes to Petro-Canada reiterating our concern about the Fort Hills Oil Sands Project and asking to be kept informed about the McClelland Lake Wetland Complex Sustainability Committee’s activities. The Supreme Court decision reflects the federal government’s cynical approach to environmental assessment. MiningWatch Canada reports that “a recent spate of astonishing decisions on a range of mining projects has made it clear that the Federal government has decided that environmental assessment (EA) is a pro forma exercise that will not be allowed to do so much as inconvenience mining companies” (Newsletter No. 19, Summer 2005). “AENV and DFO are recommending a precautionary approach, implemented in phases with ongoing review, so that monitoring, which improves the understanding of the effects of water withdrawals, can be incorporated in a water management system that will protect the ecological integrity of the aquatic ecosystem of the lower Athabasca River” (p. 4). “While current oilsands water use has generally been below the most stringent limits identified within the Phase 1 Framework, current licences have allowed for maximum amounts that could cumulatively exceed them” (p. 5). “The Phase 1 Water Management Framework is being released to guide regulatory decision-making in upcoming applications” (p. 5). Chief Boucher says, “We are now able to play a significant role in the oil sands exploration and development while ensuring that there are adequate reserve lands for our traditional way of life” (Red River Current August 2006). Eos Research and Consulting completes a project for Petro-Canada on water issues affecting the company’s upstream operations in western North America. The report concludes that “based on current patterns of use, many drainages already have insufficient supply to meet needs and in many other drainages there may be insufficient water to meet expected future needs.” The report, which has not been released to the public, provides Petro-Canada with recommendations for management approaches to address identified water-related risks. Synenco Energy Inc. files the Northern Lights oil sands project, located just east of the McClelland Lake watershed, across the Firebag River. The Alberta government announces that it will accept all nine recommendations made by the Oil Sands Consultation Group. In particular, it commits to establishing a multi-stakeholder committee accountable for the overall consultation process, and a panel to collect public input. The panel will hold public meetings and information sessions, especially in the main tar sands areas of Fort McMurray-Wood Buffalo, Peace River, Athabasca and Cold Lake. Members of both the committee and the panel will be appointed by government to ensure representation from the public, industry, environmental groups, First Nations, and other stakeholders. Public consultations are expected to start in September 2006, with the process to be completed by June 2007. Consultation should take place in the three oil sands areas – Peace River, Cold Lake and Athabasca – as well as Edmonton and Calgary. The Federal Court of Appeal releases a decision in favour of Fort Hills Energy Corporation stating that the Minister of Fisheries and Oceans correctly scoped the Fort Hills project. The Court found that due to the fact the Alberta provincial authorities conducted an environmental assessment, an additional assessment at the federal level would have been inefficient. This matter was on appeal from the federal trial decision, where on Sept. 18, 2004, the trial judge also found in favour of the Respondents. The Applicants may appeal further by seeking the leave of the Supreme Court of Canada. AWA writes to Environment Minister Guy Boutilier explaining our concern about the mining of McClelland Lake fen and explaining AWA’s decision not to participate on the McClelland Lake Wetland Complex Sustainability Committee. Alberta Environment Deputy Minister Peter Watson responds on February 14, 2006. Dr. Ian Urquhart meets with representatives of Synenco to inform them of AWA’s proposal to protect the entire area as a provincial park, with the two patterned fens protected as ecological reserves. Synenco is the managing partner for the Northern Lights tar sands project northeast of the Complex. December 12: Sierra Legal Defence Fund appears before the Federal Court of Appeal to challenge a Federal Court decision (Sept. 18, 2004) allowing the Fort Hills project to go ahead without an adequate environmental assessment. Sierra Legal argues that theCanadian Environmental Assessment Act requires the entire proposed project, rather than just one small creek, to undergo a federal environmental assessment. The Alberta government announces that it will cancel the initial feedback sessions on the draft MOSS (Mineable Oil Sands Strategy) and will instead create the Oil Sands Consultation Group, mandated to provide revised plans for a consultation process for tar sands development. Petro-Canada announces that the McClelland Lake Wetland Complex Sustainability Committee is being established “to assist with the development of an operational plan which will maintain the protected portion of the wetland.” The Committee will begin to operate in the coming months. According to EUB Decision 2002-089, the Committee will “oversee the collection of baseline monitoring data, establish the natural variability of the wetland, establish criteria to protect the biotic diversity and function of the no-surface-access zone, critically evaluate proposed mitigation plans in relation to the protection criteria, and evaluate postconstruction monitoring data and adaptive management” (sec. 10.3). Synenco Energy Inc. purchases oil sands lease L0633 in the eastern portion of the McClelland Lake watershed, overlapping McClelland Lake. Petro-Canada and UTS acquire a third partner in the Fort Hills project, Teck-Cominco, with Petro-Canada intending to remain as project operator with 55% stake. Synenco Energy purchases tar sands lease L0633, which lies in the eastern portion of the McClelland Lake watershed and overlaps the lake. “Future development of this lease … would be the final nail in the coffin of the ecological integrity of the McClelland Lake Wetland Complex” (letter from AWA to Synenco, March 6, 2006). Petro-Canada invites input from AWA on the establishment of a MLWC Sustainability Committee, the purpose of which would be to help mitigate environmental effects of mining in the complex. AWA responds with a letter (June 10) reiterating our concern about and opposition to the development of the McClelland fen, and our disagreement with the government’s changes to the IRP: “We don’t believe that this world class site should be used for experiments.” AWA therefore gives no input to the Committee, since participating in any way would be giving support to destruction of the fen. AWA writes to Alberta Premier Ralph Klein expressing concern about the potential destruction of the McClelland Lake Wetland Complex and requesting the Alberta government consider alternatives to mining the McClelland Lake fen. April 12: UTS announces that construction of an experimental plant to demonstrate the Bitmin extraction process is anticipated this summer, subject to regulatory approval. The plant will produce approximately 3,500 bbl/day from tar sands mined on the Fort Hills lease. April 6: AWA meets with Petro-Canada to discuss the Fort Hills project. Petro-Canada acquires 60% ownership of the Fort Hills tar sands project and plans an initial mining development of 100,000 bbl/day and corresponding upgrader. UTS retains 40% ownership. AWA puts out a news release stressing the urgency of protecting McClelland Lake Wetland Complex in light of this new development. UTS Energy Corp., the new owner of the Fort Hills tar sands project, move ahead with engineering and regulatory work. The company submits an application to the EUB for construction of a $40 million “demonstration plant” that will carry out field trials of Bitmin, a new bitumen extraction process. Construction is scheduled for April to September 2005, and operations are scheduled for October 2005 to March 2006. The plant is to be decommissioned in April 2006. A small mining operation is also planned to provide feed to the plant from part of the lease. Mine construction is to begin in July 2005. UTS says that a new corporate partner may be recruited by mid-2005. UTS is working on a revised $2 billion plan to develop 188 sq km of bitumen leases in the area. In a Federal Court decision, the Court releases a decision in favour of Petro-Canada, upholding the Department of Fisheries and Ocean’s decision to limit the environmental assessment of the Fort Hills project to one small creek in the entire project area. UTS completes acquisition of TrueNorth Energy (for $ 125 million) and creates Fort Hills Energy. UTS holds contiguous Leases 5, 8, 52 (and 14, west of Athabasca River). The Fort Hills project received regulatory approval in October 2002 to produce up to 235,000 bbl/day. The project is in the initial stages of being re-scoped with a proposed initial phase of production totalling 50,000 bbl/day in 2009. On behalf of the Pembina Institute, Prairie Acid Rain Coalition, and Toxics Watch, Sierra Legal Defence Fund lawyers go to court to challenge the Department of Fisheries and Oceans’ 2002 decision to limit the Fort Hills tar sands project’s federal environmental assessment to an examination of one small creek within the project area instead of investigating the impacts of the 10,600-ha project as a whole. “DFO has backed right out of managing the impacts of this project and turned CEAA into a mere formality en route to project approval,” says SLDF lawyer Tim Howard. True North announces that it will not proceed with the McClelland Lake fen development. The Alberta Energy and Utilities Board approves TrueNorth Energy’s proposed Fort Hills project – which involves excavating 49% of the McClelland Lake Wetland Complex and 45% of McClelland Lake fen. The Board “is prepared to allow the project to proceed subject to their approval of a detailed mitigation plan.… [T]he onus to establish a workable and credible plan will be on True North” (EUB Decision 2002-089, sec. 10.3). The results of TrueNorth’s EIA indicate that serious changes to the wetland were likely to occur as a result of mining. TrueNorth withdraws the portion of the EIA describing the project’s impacts to the Complex and is allowed by the Board to replace it with the so-called Sustainability Plan. “TrueNorth was confident that the sustainability plan … could be effective in maintaining ecological diversity and function, as required by the amended IRP” (EUB Decision 2002-089, section 10.1). The EUB Decision mentions that to demonstrate their commitment to wetland research, TrueNorth recommended and received placement of a temporary protective notation on the Thickwood Hills wetland. They also committed to a five-year wetland research program led by the University of Alberta. What EUB Decision 2002-089 fails to mention is that this $1 million research grant is given to the same scholars who wrote the Halsey et al. report for TrueNorth indicating that McClelland Lake Wetland Complex is not “unique.” The IRP amendment that allowed mining in the Complex was to a great extent based on that report, as was the EUB approval of the Fort Hills project. A hearing is held for TrueNorth’s Fort Hills application. 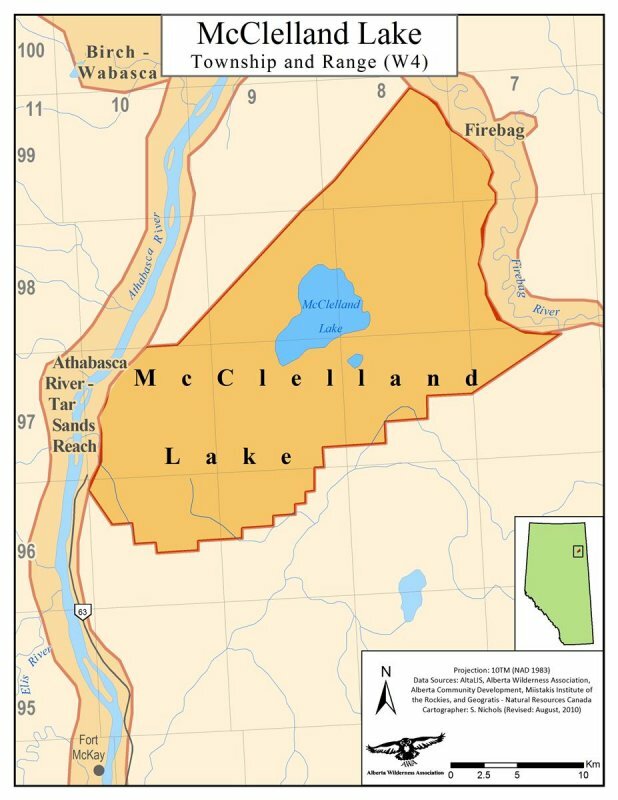 TrueNorth withdraws the portion of its EIA describing the project’s impacts to the McClelland Lake Wetland Complex and asks the Board to consider the McClelland Lake Wetland Complex Sustainability Plan, developed in consultation with the Fort McKay Industry Relations Committee. The Plan calls for the creation of a committee of regulators and stakeholders to develop a management strategy to sustain the unmined eastern portion of the wetland. Under pressure from cabinet (on behalf of TrueNorth Energy), Alberta Sustainable Development amends the Subregional IRP to allow TNE to mine within the McClelland Lake Wetland Complex (or, in the government’s words, “to reflect a balanced approach” [Government of Alberta Information Bulletin]). The IRP amendments impose a requirement to protect the unmined portion of the Wetland Complex. References to the uniqueness and unusually large size of the McClelland Lake fen are removed from the IRP. The entire amendment process takes four months, as compared to the four-year process that resulted in the original IRP in 1996. Only two open houses are held, and only in northern communities: Fort McMurray and Fort Chipewyan. In fast-tracking the amendment, the government violates its own Plan Amendment Guidelines set up in 1991, which specify a six-week public review process. The current process allowed less than a month for public input. Over the 25-year history of IRPs, these plans have had minor changes and in some cases an entire plan has been updated (e.g., the Eastern Slopes Policy), but this is the first case where an IRP has been significantly amended as a result of a proponent’s request to overturn policy. The core public element of the review process involves a two-page survey, with extremely limited time to respond (April 4-30). The survey simplistically positions the issue as protect the wetlands OR create economic growth and employment. Furthermore, during the two government-held open houses, both on short notice and both held in the area, TrueNorth Energy was allowed to display their proposal, an inappropriate gesture given that the government claimed that the project approval process was separate from the IRP amendment process. 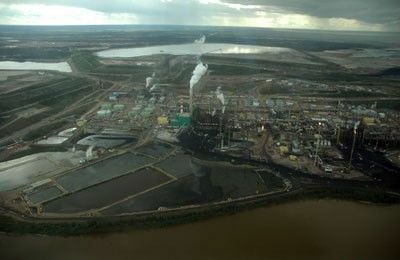 Despite being stacked in favour of amending the IRP, the “Executive Summary of Public Responses” for the amendment review indicate that most respondents have serious concerns about changing the IRP to open ecologically sensitive areas to tar sands mining. True North Energy, the Fort Hills Oil Sands Project proponent, grants $1 million to the University of Alberta to fund wetlands research on two patterned fens, one of which is the McClelland Lake fen. The research will be undertaken by two biological scientists, Dr. Kevin Devito and Linda Halsey. Six months ago, on October 29, 2001, a paper co-written by four scientists including Devito and Halsey concluded that “the patterned fen element of the McClelland Lake Wetland Complex does not represent the “best” patterned fen in the province but is a representative example of this landform type” (Supporting Information For Alberta Government Review of Guidelines in Fort McMurray-Athabasca Oil Sands Sub-regional Integrated Resource Plan). In response to TrueNorth’s application to the Alberta government for a relaxation of the guidelines in the 1996 Fort McMurray-Athabasca Oil Sands Subregional Integrated Resource Plan, SRD releases public notice that they will review the guidelines. TrueNorth wants to mine a portion of the fen and says that the oil resource underlying the fen is large, previously unknown, and integral to the economic success of its Fort Hills project. AWA releases a news release (April 4) seeking support for protection of the area. On April 8, a joint news release is issued by Pembina Institute, AWA, and Toxics Watch: “The Government advertised their first public information session four working days before it occurred with a single ad that did not include the time, date, or location of the event.” While the original IRP was the result of four years of considerable review and public input, the current amendment process promises to be rushed. AWA writes to SRD Minister Mike Cardinal expressing concern about the Subregional Integrated Resource Plan Guideline review triggered by True North Energy’s Fort Hills Oil Sands Project proposal. A report for TrueNorth Energy entitled Landscape and Landform Variation in Patterned Fens within Alberta (Halsey et al., pdf 509KB) provides an analysis of factors related to uniqueness, size, and degree of development. The report claims that McClelland Lake wetland is more “representative” than “unique,” contradicting the findings of Westworth and Associates (1990) and of a previous conclusion by one of the authors of the report (Nicholson 1991). The Halsey at al. study is used by the Alberta government to support changing the IRP to allow development in the MLWC. At the same hearing, peatland expert Dr. Diana Horton pointed out that the selection of study sites for the Halsey et al. study is fundamentally flawed (pdf 112KB). First, two non-patterned fens were included in a study that purports to examine characteristics of patterned fens. Second, peatlands were selected on the basis of ease of access – if they were close to a road, for example – introducing bias into the analyses. 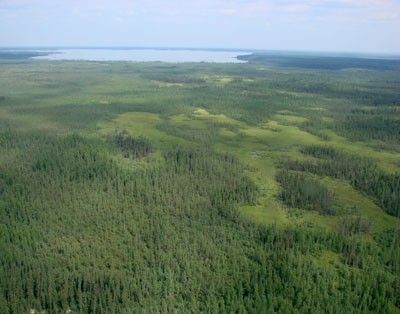 Third, one of the most striking features of McClelland Lake fen is that it is associated with a large lake, yet peatlands associated with large lakes were not targeted in this study. The Special Places Provincial Coordinating Committee, Boreal Forest Subcommittee recommends that McClelland Lake and fen complex be reserved under some form or protective notation (BFS Minutes, Feb. 16/17, 1999). Koch Industries purchases Fort Hills Leases (5 and 52) from bankrupt Solv-Ex. Koch and UTS form True North Energy (TNE). The highly contentious Ft. McMurray-Athabasca Oil Sands Subregional Integrated Resource Plan (IRP) – which took 4 years to thrash out – is finally approved by cabinet. This plan places McClelland Lake Wetland Complex off-limits to tar sands mining. A 435-km² area including McClelland Lake Wetland Complex is nominated for protection under the auspices of the Alberta government’s Special Places 2000 programme, by a coalition of 11 conservation/recreation/wildlife user groups. Protection for MLWC is subsequently thwarted due to political pressure and intense lobbying by Alberta Energy. Syncrude Canada announces plans for its new Aurora mine on leases to the immediate south of the Fort Hills. Solv-Ex Industries want to develop a new plant at the doorstep of the Fort Hills, near the Provincial Historic Site of Bitumount. Solv-Ex obtains Lease 52, which covers the southwest half of the proposed area, including one of the patterned fens. Al-Pac has plans to log in townships south and northeast of McClelland Lake, starting in 1997. Lands inside the Proposed Protected Area boundaries, south of McClelland Lake, are being logged. Applications for new harvesting areas north of the Lake, and the related harvest planning, have begun. AWA invites the Northeast Wild Alberta Coalition (NEWAC, representing numerous local environmental, recreational and wildlife user groups) to discuss potential new protected areas in northeast Alberta. The Fort Hills is given top priority as an area in need of protection, under threat, and having both wildland and recreational potential. The draft Fort McMurray-Athabasca Oil Sands Subregional Integrated Resource Plan contains provisions to “protect the natural landscape” of the area. The northeast region is divided into 4 resource management areas (RMAs): northern boreal, boreal, transition and settled. McClelland Lake falls within the Boreal RMA. To promote conservation and orderly development of public land and resources. To ensure protection and maintenance of environmental quality in the management of public land resources. To protect people, their homes and businesses and natural resources from wildfire. To protect the forest and range resources form damage by insects and disease. To reclaim lands disturbed as a result of development to an equivalent land capability. To maintain public access to public land and resources. To ensure the best overall allocation and use of resources on public land for the social and economic benefit of the people of Alberta. Solv-Ex Corp. establishes joint venture with United Tri-Star Resources Ltd. (UTS) and proposes to develop an experimental tar sands plant on Lease 5. Solv-Ex subsequently (1995) acquires Lease 52. Barbara Nicholson submits a report on Alberta wetlands and peatlands to the Natural Areas Program of Energy and Natural Resources, Alberta. 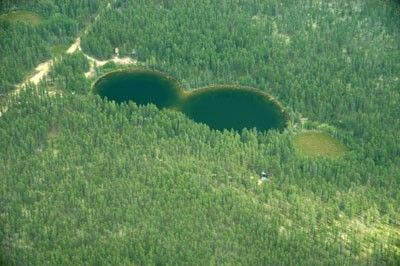 She says: “The two fens surrounding McClelland Lake, one to the southwest and the other to the east of the lake have the most prominent string and flark pattern in the province. The vegetation in these fens is likely to be sensitive to changes in climate, hydrological flows and damage, as the water table in these fens is high.” Nicholson goes on to give the McClelland fen complex “high priority for preservation” (from “A selection of 54 peatlands chosen as a first approach to the preservation of important wetlands and peatlands in the province of Alberta” 1991). Nicholson will later reverse this assessment in a report submitted on behalf of TrueNorth Energy to the EUB hearing on TrueNorth’s application to mine in the fen (see 2001). Significant Natural Features of the Eastern Boreal Forest Region of Alberta by D.A. Westworth & Associates, Dec. 1990, identifies several environmentally significant natural features in Alberta’s eastern boreal forest. McClelland fen is the only patterned fen mentioned and is identified as provincially significant, having rare and significant plant species and an important waterfowl nesting area. 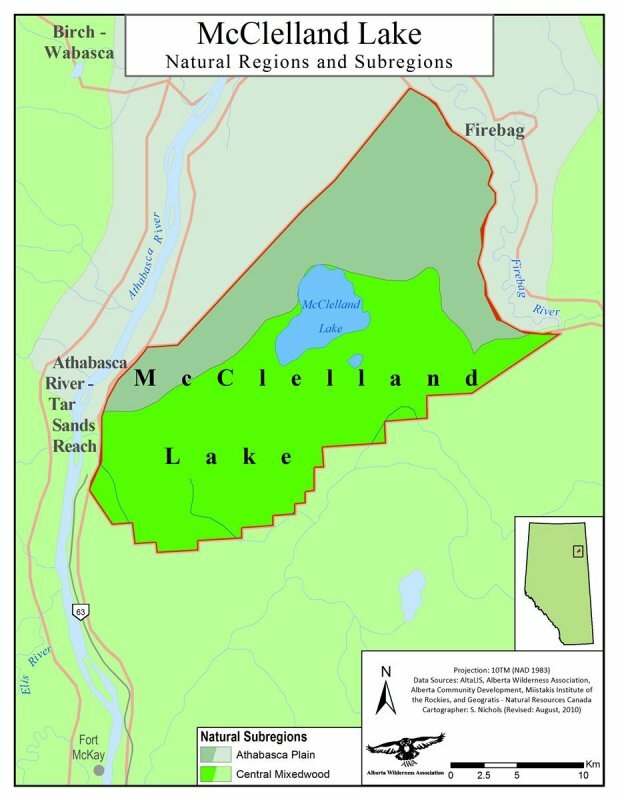 The report describes McClelland Lake wetland as “unique,” “one of the largest in the province,” and “considered to be the best developed in the Boreal forest.” The report also describes McClelland Lake as provincially significant staging area for waterfowl. The Parks Service places a land reservation on part of the Fort Hills for future recreational potential. The Bitumount area of the Fort Hills is identified as a first priority for provincial park development. The Parks Division makes applications to the Public Lands Division for reservations and notations to cover about 78 km2 of the Fort Hills-Bitumount area, a park study area within which a future park boundary may be established. First tar sands plant in northeastern Alberta comes on stream. The development of McClelland Lake’s extensive peatlands begins. From a social-psychological point of view, it is the case, as regrettable as it is, that politicians are followers and only after the majority believes in something, do these followers follow.